October 1, 2009 – The Cleantech Group™, providers of leading global market research, events and advisory services for the clean technology (cleantech) ecosystem, along with Deloitte, which provides audit, tax, consulting and financial advisory services to cleantech companies, today released preliminary 3Q09 results for clean technology venture investments in North America, Europe, China and India totaling $1.59 billion across 134 companies. Cleantech venture investment continued its recovery in the third quarter of 2009, after significant declines in 4Q08 and 1Q09 paralleling the global economic downturn. Following a rebound in 2Q09, the 3Q09 total is up a further 10 percent compared to the previous quarter, yet down 42 percent from the same period a year ago. •Solar - $451 millionDeals included: California-based thin film company Solyndra, which raised $198 million from a group of investors led by Argonaut Private Equity; California-based SolFocus, a developer of concentrating PV systems, which closed its Series C fundraising on $77.6 million from investors including Apex Venture Partners, New Enterprise Associates, NGEN, Yellowstone Capital, Demeter Partners, and affiliates of Advanced Equities; and California-based SunRun, a residential power purchase agreement (PPA) provider, which raised $18 million from Accel Partners and Foundation Capital.•Transportation (including Vehicles, Advanced Batteries & Biofuels) - $383 millionDeals included: Tesla Motors, the California-based electric car manufacturer, which raised $82.5 million in funding from a group of investors led by London-based Fjord Capital Management; Think Global, the Norwegian electric car manufacturer, which officially announced a $46 million round; and Amyris Biotechnologies, the California-based developer of a synthetic platform to create renewable fuels and chemicals, which secured $24.8 million as part of an ongoing $62 million Series C funding round.•Green Buildings (including Energy Efficient Buildings, Glass & Lighting) - $110 millionDeals included: Serious Materials, the California-based developer of a range of green building materials, which raised $60 million in Series C funding from Mesirow Financial, Enertech Capital, Cheyenne Partners, Saints Capital, as well as existing investors; and iControl Networks the California-based developer of broadband home management systems for controlling energy usage, which raised $23 million in Series C funding from Tyco International’s ADT Security Services, Cisco, Comcast Interactive Capital, GE Security, and existing venture capital backers. M&As AND IPOsClean technology M&A dropped in 3Q09 from the previous quarter, totaling an estimated 98 deals, of which totals were disclosed for $5.9 billion. In the leading cleantech IPO of the quarter, and one of the most significant cleantech exits to date, A123Systems made its long awaited debut on the NASDAQ Global Market, in which the company raised $380 million at a company valuation of $1.3 billion (which rose to $1.9 billion by the close of day one trading). Other clean technology IPOs recorded in 3Q09 were wind farm developer Indian Energy, which began trading on London’s AIM, raising $16.2 million, and India-based Euro Multivision, which raised $13.5 million on the Bombay Stock Exchange for the company's photovoltaic solar cell manufacturing unit. BY GEOGRAPHYNorth America continued to attract the largest percentage of clean technology venture capital, with Europe and Israel in 3Q09 in second place at 29 percent. •NORTH AMERICA: North America accounted for 67 percent of the total, raising USD $1.1 billion in 73 disclosed rounds, up 8 percent from 2Q09 and down 42 percent from 3Q08. As the most significant region for VC investment, the sector trends broadly match those described globally. The region accounted for the four largest venture deals (Solyndra, Tesla Motors, SolFocus and Serious Materials) as well as the largest IPO (A123 Systems). California led the way, with $655 million (61 percent total share) in investment, followed by Colorado ($47 million, 4 percent).•EUROPE AND ISRAEL: Europe and Israel received 29 percent of the total, raising USD $457 million in 53 disclosed rounds, up 61 percent from 2Q09 yet down 42 percent from 3Q08. Energy generation ($246 million, 21 deals) received the most investment, followed by vehicles ($51 million, three deals). The largest deal was Norwegian electric car maker Think Global, which emerged from bankruptcy and announced a $47 million round, part of which had been announced in Q209. There were also large deals for Irish bio-energy company Imperative Energy, which raised $43 million, and UK-based fuel cell company Intelligent Energy, which raised $30 million. The UK led with $125 million in 17 deals, with France in second position with $72 million in 10 deals.•CHINA: China received 3 percent of the total VC investment, raising USD $41.8 million in three clean technology VC deals: Nobao Renewable Energy attracted USD $25 million from Tsing Capital to develop geothermal heating and cooling technology; Nanjing City Control Information Technology raised USD $14.6 million to develop smart transportation control systems; and thin film solar and building integrated photovoltaic company Wuhan Rixin Technology attracted USD $2.2 million. Four private equity deals were tracked, totaling USD $886 million. Three M&A deals were tracked totaling more than USD $146 million. Two of the deals involved solar companies and one involved waste to energy companies.•INDIA: Indian cleantech companies raised USD $21.5 million in five investment rounds (of which one deal amount was not disclosed). The amount invested in 3Q09 was significantly lower than the previous quarter (USD $134 million) and 3Q08 (USD $185 million). Five M&A deals were tracked with a total value of USD $142 million (of which two deals amount were not disclosed). Energy generation attracted most interest and in particular the wind sector. Companies involved in M&A deals this quarter were Schneider Electric India, Techno Electric & Engineering, Chloride Group, Luminous Power Technologies and IDFC Private Equity. Mumbai-based Euro Multivision had an IPO in September in to raise capital and consolidate its solar photovoltaic manufacturing unit in Gujarat. Chennai-based industrial water solution provider VA Tech Wabag announced plans to raise USD $100 million via an IPO next year. Source: Cleantech Group (cleantech.com)Key takeaways reviewed in webinar next weekThe Cleantech Group and Deloitte will review key findings of their 3Q09 data in a live webinar on October 6, 2009 at 11AM EST / 8AM PST / 16:00 GMT, exclusively for members of the Cleantech Group’s Cleantech Network. 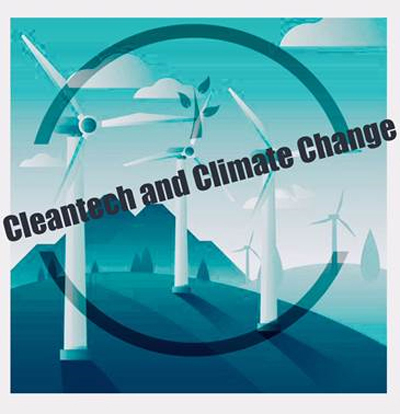 Network members may join the live meeting at http://cleantech.acrobat.com/research/ a few minutes before the event, and will need their email address and Cleantech Network password to log in. Members unsure of their passwords can contact Cleantech Group at +1 810-224-4310 x.7151 or can retrieve their password at http://cleantech.com/memberpassword.cfm. This press release is not a research report and nothing herein is intended to be nor should be construed as investment advice. Neither Cleantech Group, LLC nor Deloitte recommends that any financial product should be bought, sold or held by any individual or entity, and nothing in this press release should be construed as an offer, or the solicitation of an offer, to buy or sell securities by Cleantech Group, LLC or Deloitte. Investors should not make any investment decision without consulting a fully qualified financial adviser. About the Cleantech Group, LLCThe Cleantech Group pioneered the clean technology investment category in 2002. Today, it accelerates the development and market adoption of clean technologies globally. The company’s worldwide network of investors, entrepreneurs, enterprises, service providers and others—representing trillions of dollars in assets—receives access to capital, investment deal flow, networking, market leading research and data, sales leads and promotional opportunities. The Cleantech Group also provides advisory services for large corporations and governments, publishes leading cleantech sector industry news coverage and produces the premier Cleantech Forum® events worldwide. Details are available at http://www.cleantech.com. About DeloitteAs used in this document, “Deloitte” means Deloitte LLP and its subsidiaries. Please see www.deloitte.com/us/about for a detailed description of the legal structure of Deloitte LLP and its subsidiaries.News & Stories Published at Clean Energy Stocks Blog. Research Renewable Energy and water stocks as an Investor Ideas member and gain access to global green stock directories. Membership sign-up- get access to all of our green stock directories and water stock directory. Get 8 stock directories and the investor newsletter - The Insiders Corner for just $99 year ! Looking for funding for your green venture? publish their favorite green stock picks . Investor Ideas current green investor tools also include the Renewable energy stocks directory, Green Funding Directory and our news feed : Renewable Energy Stocks and Investing news,Green Business and Financial News at Investorideas.com. The Global Green Fund and Venture Capital Directory has grown to an estimated 500 contacts and is updated each month with new entries into the green funding space. CEO’s and entrepreneurs can use the directory to source potential funding to grow their green business. The global directory is currently available for purchase in a PDF format for $99 and will be changed over to an online directory accessible by login to paying members, updated monthly. The Green funds, VC’s and Private Equity firms are listed by Country: Firm, description, specialty, contact info and link to contact webpage. Additionally The Investor Ideas Marketplace is a meeting place created for connecting global companies in leading sectors, seeking strategic partnerships, funding, management, mergers and acquisitions, licensing or branding. The Global Green Marketplace has a growing network of green and renewable energy companies seeking funding /partners, management and a growing global network providing venture capital and equity funding with an intention to go public. Investorideas.com was one of the first online investor resources providing in-depth information on renewable energy – with its Renewableenergystocks.com portal. Accredited Investors and Companies seeking funding can register and request info online. Approved accredited investors can view the secure marketplace pages featuring executive summaries of each company. Approved companies can be added to the growing list of companies. InvestorIdeas.com is a leading global investor and industry research resource portal specialized in sector investing covering over thirty industry sectors and global markets including China, India, the Middle East and Australia and one of the first online investor resources providing in-depth information on renewable energy, homeland security and water. www.RenewableEnergyStocks.com® is one of several green investor portals within Investorideas.com and provides investors with stock news, exclusive articles and financial columnists, audio interviews, investor conferences, Blogs, and a directory of stocks within the renewable energy sector. With markets and investor sentiment changing daily- it is more important than ever to stay on top of key trends! Gain Exclusive Insight on Leading Sectors, Global Trends, and Insider Trading Ideas, News, Articles and Investor Ideas Members only Stock Directories including renewable energy, water, biotech and defense stocks. Investor Ideas members following green stocks can access comprehensive global stock directories in renewable energy, water stocks and environment and fuel cell stocks. Investorideas.com creates a meeting place for investing ideas to take form and come to life in an entrepreneurial environment, servicing the needs of small investors and start- up companies to large conglomerates! We cover multiple industry sectors but specialize in environmental and water. To be known as a global destination to investors of all levels, as a base to facilitate and direct ideas, networking and investment, resulting in global change for good. To become a global leader in green and water investing. Disclaimer: Our sites do not make recommendations. Nothing on our sites should be construed as an offer or solicitation to buy or sell products or securities. We attempt to research thoroughly, but we offer no guarantees as to the accuracy of information presented. All Information relating to featured companies is sourced from public documents and/ or the company and is not the opinion of our web sites. This site is currently compensated by featured companies, news submissions and online advertising. News & Stories Published at Clean Energy Stocks Blog. POINT ROBERTS, WA and DELTA, BC –September 25, 2009 - www.RenewableEnergyStocks.com, a leading global investor and industry portal for the renewable energy sector within Investorideas.com, updates the renewable energy and green energy stocks directory with recent additions including the recent IPO, Batteries/Energy Storage Backup Stock, A123 Systems, Inc. (NasdaqGM:AONE). The A123 Systems, Inc. (NasdaqGM:AONE) IPO of 28,180,501 shares of its common stock at $13.50 per share was embraced with better than expected results in its market debut on Thursday, bringing back investor interest and optimism to the sector. A123 Systems, Inc. (NasdaqGM: AONE) develops and manufactures advanced lithium-ion batteries and battery systems for the transportation, electric grid services and consumer markets. Founded in 2001 and headquartered in Massachusetts, A123 Systems' proprietary nanoscale electrode technology is built on initial developments from the Massachusetts Institute of Technology. Green Energy investors can research stocks with the Renewable Energy Stocks Directory, one of the most comprehensive directories online. The directory has close to 900 stocks and new stocks are added each month for investors following the sector. The complete renewable energy stocks directory features stocks listed on the TSX, OTC, NASDAQ, NYSE, AMEX, ASX, AIM markets and other leading exchanges. The directory includes info and links on Alternative Energy Funds, Biogas and Ethanol Stocks, Energy Efficiency Stocks, Flywheel Stocks, Fuel Cell Stocks, Geothermal Stocks, Hydrogen Production, Micro Turbine Stocks, Solar Stocks, Green Transportation, Wind Power and Wind Energy Stocks and Green Infrastructure Stocks. GWS Technologies, Inc. (OTCBB: GWSC), an alternative energy company developing renewable energy solutions. GWS stands for GreenWindSolar. Our products and solutions are part of the new "microgeneration" movement that is transforming the way everyday people provide for their energy needs. Through a growing line of solar and wind-powered products ranging from handheld devices that can recharge an iPod to wind turbines for point-of-use alternative energy generation, GWS is leading the way in the emerging microgeneration marketplace. The company was founded in 2005 and is headquartered in Scottsdale, Arizona. Magnegas Corporation (OTCBB:MNGA) is the producer of MagneGas(TM), a natural gas alternative and metal cutting fuel made from liquid waste such as sewage, sludge, manure and certain industrial and oil based liquid wastes. The Company's patented Plasma Arc Flow(TM) process gasifies liquid waste, creating a clean burning fuel that is essentially interchangeable with natural gas, but with lower green house gas emissions. MagneGas(TM) can be used for metal cutting, cooking, and heating or powering bi fuel automobiles. To learn about becoming a featured renewable energy or green stock, contact us below. For investors following solar stocks, the RenewableEnergyStocks.com website provides a comprehensive list of photovoltaic and solar stocks to research. Visit the Investorideas.com Green Investor Portals: www.RenewableEnergyStocks.com ®, www.FuelCellCarNews.com ®, www.EnvironmentStocks.com, www.Water-Stocks.com and www.GreentechInvestor.com all within the Investorideas.com hub. Investing in Renewable Energy, Environment and Water Stocks – Get access to global stocks directories in cleantech sectors. The renewable energy stocks directory is estimated at 900 stocks and growing! Disclaimer: Our sites do not make recommendations. Nothing on our sites should be construed as an offer or solicitation to buy or sell products or securities. We attempt to research thoroughly, but we offer no guarantees as to the accuracy of information presented. All Information relating to featured companies is sourced from public documents and/ or the company and is not the opinion of our web sites. Disclosure: Investorideas is compensated by featured companies MNGA and GWSC, news submissions and online advertising. Email: dvanzant@investorideas.com or Cali at cvanzant@investorideas.comSource: www.RenewableEnergyStocks.com, www.Investorideas.comNews & Stories Published at Clean Energy Stocks Blog. a leading green investor news and research portal for the renewable energy sector within www.Investorideas.com,reports on lithium battery company A123Systems, Inc. (NasdaqGM: AONE) 28.1 million share IPO, priced at $13.50 per share, well above original share pricing. A123Systems develops and manufactures advanced lithium-ion batteries and battery systems for the transportation, electric grid services and consumer markets. Founded in 2001 and headquartered in Massachusetts, A123Systems' proprietary nanoscale electrode technology is built on initial developments from the Massachusetts Institute of Technology. A123Systems, Inc.(NasdaqGM: AONE) will be added to the Investorideas.com global renewable energy stocks directory, currently estimated at 900 publicly traded companies in the sector. www.RenewableEnergyStocks.com® is one of several green investor portals within Investorideas.com and provides investors with stock news, exclusive articles and financial columnists, audio interviews, investor conferences and a directory of stocks within the renewable energy sector. About InvestorIdeas.com: - One of the first online investor resources provides in-depth information on renewable energy, greentech and water sectors. InvestorIdeas.com is a leading global investor and industry research resource portal specialized in sector investing covering over thirty industry sectors and global markets including China, India, Middle East and Australia. WASHINGTON– September 22, 2009- This morning, Treasury Secretary Tim Geithner and Energy Secretary Steven Chu hosted a group of clean energy developers and manufacturers at the White House to discuss how the American Recovery and Reinvestment Act (Recovery Act) is creating jobs and helping expand the development of clean, renewable domestic energy. At the meeting, Secretaries Geithner and Chu announced $550 million in new awards through the Recovery Act’s 1603 program, bringing the total to more than $1 billion awarded to date to companies committed to investing in domestic renewable energy production. Created under Section 1603 of the Recovery Act, the program provides cash assistance to energy producers in place of tax credits. The payments improve project viability, enabling companies to create and retain jobs, and establish sufficient financing bases for projects that may otherwise not be possible, dramatically expanding and accelerating the development of renewable energy projects throughout the country. Under this program, the federal government provides a cash payment in lieu of a tax credit totaling 30 percent of the qualifying cost of the project; for each federal dollar spent in payments, more than two dollars are spent in private sector investments. •Recycling grants into new projects. Project developers are able to begin construction of additional projects thanks to the extra capital from the grants they are receiving. •Increasing the flow of capital. By reversing the drop in availability of equity investment available, the 1603 program brings significant private capital off the sidelines to finance more renewables projects. •Attracting investment for domestic projects. Large project developers allocate capital across many countries, and the 1603 program is attracting billions of dollars of additional capital towards projects in the US.Project developers receiving awards through this program participated in today's meeting, including Ameresco, First Wind, Horizon Wind, and Sun Edison. Also participating were several renewables manufacturers who supply these developers, including Cardinal Fastener, GE Energy, Gamesa, Solyndra, and Vestas Americas. •At a site in Pittsburgh, CA, Ameresco is using a landfill to provide power to the City of Palo Alto. Payments awarded because of this project will allow Ameresco to accelerate its development of renewable energy projects by a minimum of four more domestic projects a year. •Solyndra is helping to provide energy to a building in downtown Denver, CO through solar panels on the roof, a project that would not have been possible without Recovery Act payments. •Vestas Americas has made a significant investment in developing renewable energy in the United States. The company has allocated $1 billion for new manufacturing facilities throughout the country, and the 1603 program will allow these facilities to be fully operational by 2011.The following is a chart of the 25 projects that qualified for awards as part of today’s announcement. Reaching agreement at the upcoming Copenhagen Climate Conference on a new pact to reduce greenhouse gas emissions would be a “daunting” challenge, but not an impossible one, Al Gore told correspondents today during a press conference of the United Nations Leadership Forum on Climate Change. Mr. Gore, Nobel Laureate and Chairman of Generation Investment Management, said that 76 days before the start of the Copenhagen Summit, personal involvement of Heads of State and Government would be crucial to break the current deadlock on crafting a successor treaty to the Kyoto Protocol. That Treaty’s first commitment period is set to expire in 2012. In that regard, he was particularly encouraged by the leadership of the United States. As Congress was currently weighing climate change legislation, he noted that United States President Barack Obama had pledged to get personally involved in pushing key climate change legislation through the Senate before Copenhagen. For his part, Mr. Gore called on the United States Senate to pass the bill quickly and not be distracted by “backward-looking” amendments such as one that could strip the Government of its authority to mandate CO2 emissions under the Clean Air Act. In addition, he called on all participants in today’s meeting on climate change, convened by the United Nations Secretary-General, to move forward on concrete proposals for financing of adaptation and technology transfer. The press conference, moderated by Robert Orr, Assistant Secretary-General for Policy Coordination and Strategic Planning, also featured: Lars Løkke Rasmussen, Prime Minister of Denmark; Helmy Abouleish, Managing Director, SEKEM; Djimon Hounsou, actor; Barbara Krumsiek, President, Calvert Investments; and Zhengrong Shi, Chairman, Suntech. By demonstrating explicit private sector support for bold climate action, the Forum intends to build positive political momentum towards the Copenhagen Climate Conference, set for 7 to 18 December. Prime Minister Rasmussen, of Denmark, said the international business community and civil society sought a decisive solution to climate change that would stimulate green growth and development. The outcome of the Copenhagen Conference should be ambitious and binding, and should include the two-degree warming scenario. The industrialized countries should commit themselves to short‑, mid- and long-term substantive reduction targets. Moreover, he said developing countries should be invited to take domestic actions leading to an estimate of their emission patterns. Developed countries should commit themselves to financing adaptation and transfer of green technologies. The agreement should also integrate a monitoring, reporting and verification framework. The private sector would play a vital role in shaping a low-carbon future. Mr. Shi said that leadership by the United States and China would be vital in combating climate change. In order to promote and increase application of clean technologies, close cooperation in the area of clean technologies such as wind and solar power, without trade barriers or protectionism, was necessary. A global climate change agreement would offer huge opportunities to clean technologies, he declared, noting that over the past five years, the solar industry in Europe, the United States, Japan and China had grown more than 50 per cent. Over the next two to five years, the cost of solar-generated energy was predicted to drop, so the price of solar electricity would become competitive. Mr. Abouleish said that farmers in Egypt and Africa were very concerned about the impact of climate change on agriculture. Specifically, Egypt would be the second most impacted country in the world because of, among other things, rising sea levels. At the same time however, farming was also part of the solution, as it could contribute up to 30 per cent of the needed abatement. He called on the Copenhagen Conference to include consideration of sustainable agriculture and forest management, as well as for incentives for farmers to work for food security, and at the same time, to save the planet. Commercial enterprises had an obligation beyond profit making and must report on their carbon footprint. Ms. Krumsiek said Calvert Investments provided mutual funds that invested in socially and environmentally responsible companies, and focused on environmental and financial performance. There was no greater issue for investors than climate change. The long-term sustainability of companies would be based on decisions taken today. Investors needed a “robust agreement” in Copenhagen, in order to better measure and manage risk. She urged the leaders of the world to come together and work to “seal the deal”. For his part, Mr. Hounsou added that he had seen first-hand the devastation wrought by drought in sub-Saharan countries and urged all to have respect for the planet. Deserts were advancing at a fast pace, especially that region, and action must be taken “now”. Answering questions about the status of the climate change bill in the Senate, Mr. Gore said the United States had an “almost unique” role in providing important leadership in the situation. The moral authority President Obama could wield in Copenhagen would be greatly enhanced if the Senate passed legislation before Copenhagen. That legislation had been delayed by the controversy over health care, but there were indications that that deadlock would soon be broken. Mr. Gore also highlighted the influence of the judiciary in his country, pointing out that the Supreme Court had recently ruled that C02 was a pollutant covered by the Clean Air Act, so the Environmental Protection Agency now had the authority to mandate reductions. Legislation against that authority would be vetoed by the President. Yesterday, a Federal Court ruled that large CO2 emitters could be sued under common law, he said. Mr. Rasmussen added that the United States would still play a strong leadership role, even if no legislation was passed, especially in the person of President Obama. The private sector was ready to invest if they heard a clear signal of long-term commitment from world leaders. In that regard, Ms. Krumsiek pointed out that there was a statement, signed by some 200 institutional investors managing a total of $13 trillion, on the need to reach agreement in Copenhagen. Including the private sector in the process was necessary. There was self-interest involved in inclusion, she said, answering a question about the standards used at the United Nations in working with the private sector. To exclude companies’ involvement in the Forum, on the basis of self-interest, would lose a “robust” business presence that could contribute to solutions. Mr. Orr added that the collective private sector needed to be part of the solution. The United Nations had invited key players to the table. The Global Compact had been engaging with a wide range of companies, with a resulting improvement in performance. Approximately 40 per cent of participating companies reported their greenhouse emissions and climate change data to the Carbon Disclosure Project. Asked about the statement by China’s representative at the opening of today’s events this morning, Mr. Gore said that that country had provided “impressive” leadership in combating climate change. It was the leading nation in wind and solar power, and had planted two-and-a-half times more trees than the entire rest of the world together. The goals announced today were not insignificant and there were indications that if progress in negotiations was made, China would do more, he said. As for this morning’s statement by President Obama, Mr. Gore had been encouraged by his promise to get personally involved in the work of the Senate Committees trying to pass climate change legislation. President Obama’s statement had also included a reference to a “highly significant” measure on greenhouse gas reporting. That would force companies to reduce their emissions, out of fear that their reputation would be damaged. To a question about technology transfer and concerns about intellectual property, Mr. Shi said collaboration in clean technology was global. China could produce solar power cells cheaply, but must import advanced manufacturing equipment from abroad. More exchange of innovative manufacturing technologies was necessary and teamwork was needed in order to produce cheaper green energy products, as green power was currently too expensive. The technology was there and investors were ready to act, but the business community wanted real action at Copenhagen. Mr. Rasmussen added that technology transfer must be an integrated part of Copenhagen and the United States had proposed a framework on technology cooperation. Co-financing of transfers to developing countries was also necessary. However, Mr. Abouleish pointed out that technology transfer to developing countries was not happening today, due to the lack of a framework and a funding mechanism. Asked about a lack of awareness among the people in Egypt and Africa, he said that the citizens and media must promote discussion about climate change and that the Governments must be lobbied. He warned that companies that did not engage today would not exist 15 years from now. Mr. Gore added that soil carbon conservation and the re-carbonization of soil must be the next stage in the negotiating process. A clear signal at Copenhagen, that carbon and soil issues would be included in future talks, would be a very important measure to help build the confidence of developing nations, most of all in sub-Saharan Africa, where soil carbon had been so depleted that it was now greatly contributing to food insecurity. Re-carbonization of soil could be done with new technologies, application of which could result in carbon credits. Addressing a question about the principle of common but differentiated responsibility, Mr. Rasmussen said the phrase for Copenhagen meant that rich countries must commit to short-, mid- and long-term reduction targets. Developing countries must commit to actions, whereby it would be fully recognized that they had the right to increase their energy consumption to support their development. He stressed that such developing countries should, however, follow a different track in energy generation. As money was an important element, he was encouraged that the European Commission had put an offer on the table. Actions needed to be concrete. Mr. Gore said neither word was the same as “binding”. The President of Maldives, Mohamed Nasheed, this morning had called on developing countries to undertake binding obligations for reductions. “Differentiated” meant that those reductions would not be the same as those of developed countries. There had to be support, adaptation and transfer of technology. However, there should be common obligations that were binding, even if differentiated, he declared. POINT ROBERTS, WA and DELTA, BC –September 22, 2009, www.Investorideas.com and www.water-stocks.com, an investor and industry research portal covering the water sector, present an industry report by Lisa Springer CFA, Equity research analyst, on the oil- water separation technology industry multi-billion dollar opportunity. The recent report examines how Wescorp Energy (OTCBB: WSCE) is providing solutions for one of the oil and gas industry’s environmental challenges, ‘produced water’. One of the greatest challenges oil and gas companies face is cleaning “produced water”, water that comes up with the production of oil or gas, or water left over from their drilling operations. This water, contaminated with hydrocarbon solids, sand, drill cutting and salt, is a major source of pollution and must be brought to the surface, treated to separate the water from residual oil, then disposed of either by re-injecting the treated water into the ground or pumping it into a surface separation pond. Treating and disposing of this water can cost as much as $12.00 per barrel and energy companies also lose thousands of dollars in potential oil revenues each year because some oil remains trapped in the water despite treatment. The scope of the problem becomes apparent when you consider that oil and gas companies must dispose of some 250 million barrels of oilfield contaminated water daily. The global market for the cleaning and re-use of produced water is estimated to exceed $50 billion annually. Oil revenues lost because treatment technologies leave some oil still trapped in the water are not trivial, either. An article in the May 12, 2008 edition of Oil and Gas Journal titled “Produced Water Management: Controversy versus Opportunity” suggests as much as nine tons of oil remain trapped in oilfield water for every million tons of hydrocarbons produced. Wescorp Energy (OTCBB: WSCE) has developed and begun commercializing a proprietary oil-water separation technology that is able to remove more of the residual hydrocarbons from treated oilfield water. Depending on the specific technology, conventional treatment methods can leave as much as 5,000 to 30,000 parts per million of hydrocarbons behind. Wescorp’s technology reduces the hydrocarbon component of treated water to less than 10 parts per million. H20Maxx technology uses an aeration process based on microscopic bubbles several orders of magnitude smaller than conventional technologies. The bubbles attach to oil droplets in the water and break the oil/water interface, allowing the oil to be skimmed off. The benefits of H20Maxx technology include lower disposal costs, the ability to recycle treated water in drilling operations, thus reducing fresh water consumption and the recovery of greater amounts of residual oil. POINT ROBERTS, WA and DELTA, BC –September 22, 2009 - www.RenewableEnergyStocks.com, a leading global investor and industry portal for the renewable energy sector within Investorideas.com, updates the renewable energy and green energy stocks directory with recent additions. Catch the Wind Ltd (TSX:CTW-S.V) is a high-growth technology company headquartered in Manassas, Virginia. The company was founded in 2008 to develop and manufacture the Vindicator(R) laser wind sensor. Catch the Wind serves the commercial market sector for laser based wind sensor systems, recognized as the "gold standard" in wind measurement. The company is focused on becoming a major contributor in making clean, renewable wind energy more affordable and profitable. CRS Electronics Inc. (TSX:LED.V) is a leader in the emerging, rapidly-growing market of high efficiency light-emitting-diode ("LED"), or, solid state lighting ("SSL"). The principal activities of CRS include the development, manufacture and sale, primarily in North America, of indoor and outdoor lighting such as LED replacement lamps, LED streetlights, exterior LED warning lights on school buses, child safety systems for school buses and contract manufacturing of LED light boards. The Company currently sells an LED replacement for MR16 halogen bulbs and LED light engines ("replacement lamps") for decorative streetlights. CRS is a well-established supplier to both the school bus industry and the LED contract manufacturing industry, providing a stable and growing revenue source. CRS plans to be a major supplier of LED light engines for a variety of applications to be developed by CRS on its own and in conjunction with its customers. With markets and investor sentiment changing daily- it is more important than ever to stay on top of key trends! Gain Exclusive Insight on Leading Sectors, Global Trends, and Insider Trading Ideas, News, Articles and Investor Ideas Members only Restricted Content including the complete renewable energy stocks directory, water stocks directory, biotech and more. Delta B.C., September 22, 2009 - www.InvestorIdeas.com, a leading online global investor resource, with a primary focus on green and cleantech investing reports on recent developments in the biomass sector, as well as reports on recent additions to the Investorideas.com marketplace including a Wood Pellet Biomass Company, Small Wind Turbine Company, Profitable Water Company, Cellulosic/ BioFuel Company based in Brazil, Sustainable Fashion and Defense/Energy Efficiency Aircraft Technology. WoodPellets.com, formerly PelletSales.com, the nation's leading independent distributor and direct-to-consumer retailer of wood pellet heating fuels, today announced it has successfully completed an $11 million financing led by Monitor Clipper Partners. .406 Ventures, the lead investor in the Company’s previous financing, also participated. WoodPellets.com will use the capital to continue its rapid business expansion through a series of strategic initiatives. The Series A lead investor, .406 Ventures, has a successful history helping to build technology-enabled businesses in emerging markets. Monitor Clipper Partners brings extensive middle-market business management and development expertise to WoodPellets.com. In connection with the investment, Adam Doctoroff will join Jon Strimling; Liam Donohue; Thad Hill, CCO of Calpine Corporation; and Ben Miller, managing director at Cummins Generator Technologies on the Company’s Board of Directors. About WoodPellets.com WoodPellets.com, through its wide network of partners and affiliates, has rapidly become the nation's leading independent distributor and direct-to-consumer retailer of renewable heating fuels. Using a proprietary, patent-pending technology and delivery platform, WoodPellets.com is enabling fast, easy and cost-effective access to wood pellets in bagged and bulk form across the United States and Canada. The Company provides retail delivery throughout the East Coast and in selected areas of the Midwest and Pacific Northwest as well truckload delivery nationwide. WoodPellets.com has an extensive network of more than 25 manufacturing sources, 50 distribution centers and hundreds of affiliated retailers. About Monitor Clipper Partners Monitor Clipper Partners is a Cambridge-based investment firm that currently manages over $2 billion in assets. It was formed in 1998 and makes private equity investments in middle market buyouts and later-stage growth companies. For more information, please visit www.monitorclipper.com. About .406 Ventures .406 Ventures (".406") is a venture capital firm focused on investing in market-innovative growth technology and services companies being built by the finest entrepreneurs. .406 focuses primarily on early stage, IT and services companies in sectors where the partners have unique domain expertise, a successful track record, and established networks -- IT Security; Technology-enabled Business Services; Digital Media; IT Infrastructure; Next-Generation Enabling Technologies. More information can be found at www.406ventures.com. Investorideas.com improved the sign- up format for accredited investors and companies seeking funding include cleantech, organics, energy, entertainment & music, tech, defense and more. Recent additions include: Wood Pellet Biomass Company, Small Wind Turbine, Profitable Water Company, Cellulosic/ BioFuel Company based in Brazil, Sustainable Fashion, and Defense/Energy Efficiency Aircraft Technology. Accredited Investors and Companies seeking funding or partners or JV can register and request info online. Approved accredited investors can view the secure marketplace pages featuring executive summaries of each company. Investors can then request business plans and more details and connect directly with each company. The Investor Ideas Marketplace facilitates meeting and connecting with the right match of opportunity and investor. Approved companies seeking funding or partners can be added to the growing list of companies on the marketplace for review. Additionally Investor Ideas has updated the recently available Global Green Fund and Venture Capital Directory to enable green businesses and entrepreneurs to find potential funding sources. Renewable Energy companies/industry members can contribute content and submit renewable energy news, articles, research and links to our site: click here. News will be featured on up to 3 sector portals and the Investor Ideas Newswire. Reports on new a new China IPO in the green sector. EVE Energy Co., Ltd. is an expert in developing and manufacturing of lithium battery. Its main products including lithium thionyl chloride (Li/SOCl2) cells, lithium manganese dioxide (Li/MnO2) cells and providing professional customized portable power source solutions and OEM services. EVE has an experienced R&D team, with more than 20 years experience, many patents and advanced equipments. EVE continually adopts new technology in battery design and production, and implements advanced management systems such as 5S, 6 Sigma, Lean Production and SPC. EVE has been ISO9001 certified, and also recognized by UL, UN, CE and CCC. "One of the first online investor resources providing in-depth information on renewable energy, greentech and water sectors." InvestorIdeas.com is a leading global investor and industry research resource portal specialized in sector investing covering over thirty industry sectors and global markets including China, India, Middle East and Australia. POINT ROBERTS, Wash., Delta B.C., September 15, 2009 - www.InvestorIdeas.com, a leading investor research portal specialized in sector investing announces a new content submission service for investors and traders to publish and share their green stock picks and stock profiles. Stock profiles include the company’s name, symbol, exchange, sector, current stock price and a profile written by investors. The new content, entitled, "Your Best Investor Ideas at Investorideas.com" Stock Picks from Investors. The free content publishing service for investors gives investors a platform to showcase their stock picking expertise and share results with other online traders and investors . Terms and Conditions of Use: Please review the following terms and conditions before submitting. Get Members only Restricted Content including the complete renewable energy stocks directory, water stocks directory, natural gas, oil and gas, biotech, defense and more coming soon. Members get access to 8 stock directories and the well known investor newsletter, the Insiders Corner. Coming soon – gold stocks directory. Disclaimer: Our sites do not make recommendations. Nothing on our sites should be construed as an offer or solicitation to buy or sell products or securities. We attempt to research thoroughly, but we offer no guarantees as to the accuracy of information presented. All Information relating to featured companies is sourced from public documents and/ or the company and is not the opinion of our web sites. Disclosure: Investorideas is compensated by featured companies, news submissions and online advertising. BRASILIA (September 17, 2009) – In an unprecedented initiative, Brazil today proposed a new bill of law that will restrict the lands permissible for sugarcane farming and processing. If passed, the bill sent today to the National Congress by President Luiz Inácio Lula da Silva will prohibit the construction or expansion of sugarcane farms and production plants in any area of native vegetation, or in the Amazon, Pantanal (Brazilian Wetlands) or Upper Paraguay River Basin regions. Coupled with the areas not suitable for sugarcane farming, the bill would effectively make 92.5% of Brazil’s national territory off-limits for sugarcane farming and processing. In addition to the sugarcane zoning mandates, the new bill includes a measure to end the practice of crop burning by 2017 in all areas suitable for mechanized harvesting. Brazil’s sugarcane harvests are used to produce food products as well as sugarcane-based ethanol, a biofuel alternative to gasoline. The proposal is timely, given that ethanol consumption surpassed that of gasoline in light vehicles in Brazil this year. Brazil has the largest fleet of flex-fuel cars in the world. Brazil is also currently the world’s largest producer and exporter of sugarcane, using only 1% of its national land area. The newly proposed bill is based upon the findings of the National Agro-Ecological Zoning for Sugarcane (ZAE Cana) study, which defined lands suitable for sugarcane production based on environmental, economic and social criteria. ZAE Cana is the largest crop survey in Brazil’s history and the first ever to incorporate economic and social considerations into its proposed model for the sustainable development of the industry. The ZAE Cana proposal addresses the need to regulate the expansion of sugarcane production in light of the growing global demand for food and biofuels. This proposal supports Brazil’s goal to foster sustainable economic development and preserve its indigenous lands, its biodiversity, and its natural resources. The new bill would restrict the expansion of sugarcane production plants to regions that meet the following criteria: areas that do not require full irrigation, thus saving resources such as water and energy; and areas with slopes less than 12%, allowing for mechanized harvesting and preventing producers’ clearance of ground by fire. In addition, credit extension policies will favor expansion into underused or degraded pasture land. These rules are not applicable to industrial facilities already in operation. These criteria leave 64 million total hectares eligible for sugarcane planting, equivalent to 7.5% of the national land area. Sugarcane crops currently occupy an area of 8.89 million hectares (2008 crop year). The proposed Bill of Law empowers the Ministry of Agriculture to direct the expansion of sugarcane production in order to prevent any risk to food production or food security. In addition to regulating future sugarcane expansion, the federal government is proposing an end to burnings in existing production areas. The eradication will be enforced according to a transition schedule that ends burning by 2017 in 100% of areas suitable for mechanized harvesting. This measure will allow for the reduction of greenhouse gases by six million tons of CO2 equivalent. The ZAE Cana will be presented as part of Brazil’s platform to curb global climate change and promote environmentally sustainable development at the United Nations’ 15th Conference of the Parties (COP-15) to be held in Copenhagen, Denmark in December 2009. The Secretariat for Social Communication (SECOM) of the Presidency of Brazil is responsible for coordinating the Public Relations activities for the government of Brazil. POINT ROBERTS, Wash., Delta B.C., September 15, 2009 - www.InvestorIdeas.com, a leading investor research portal specialized in sector investing announces a new content submission service for investors and traders to publish and share their stock picks and stock profiles.